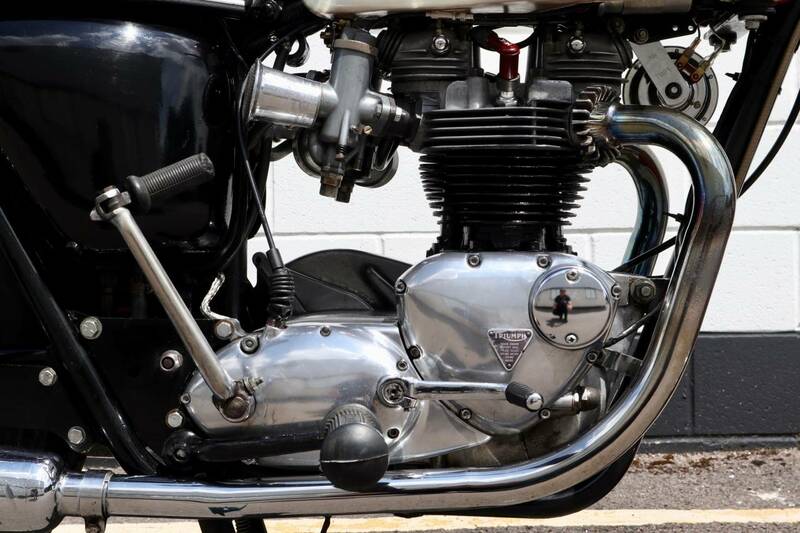 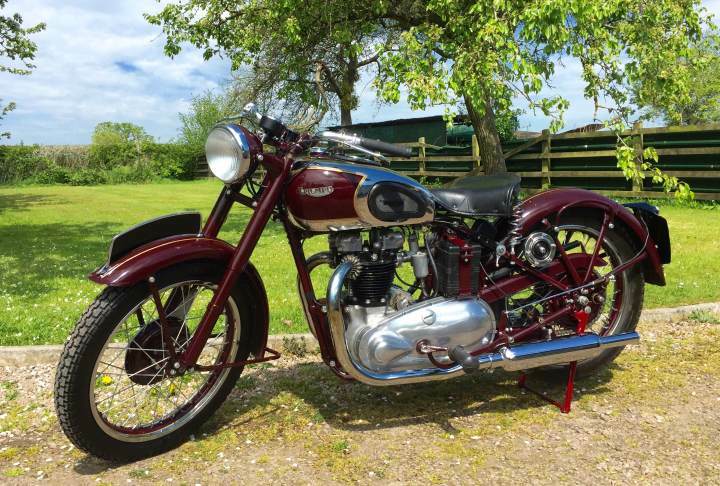 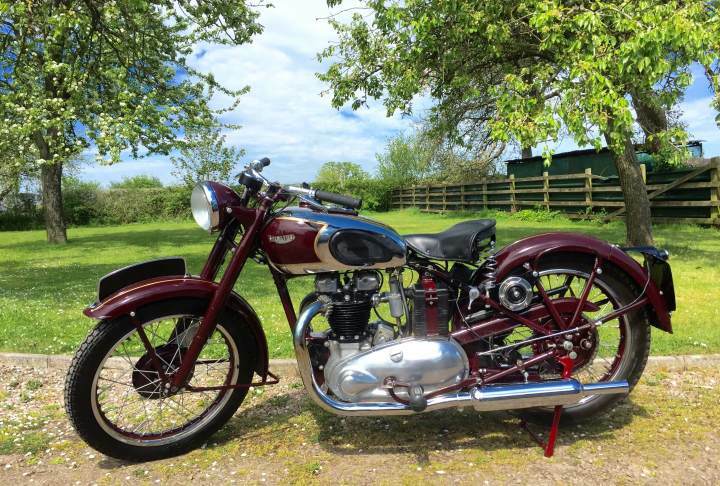 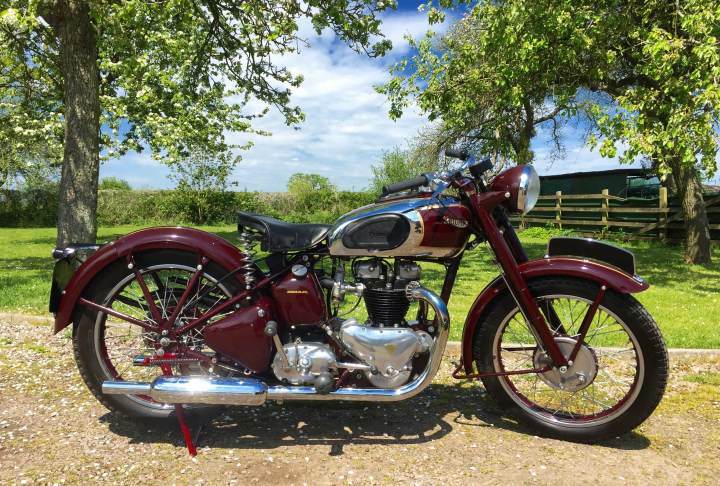 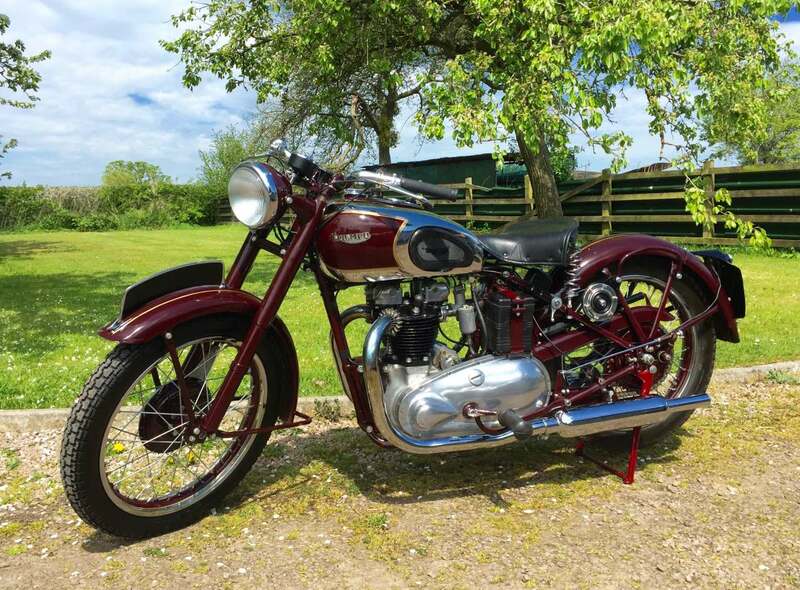 Triumph Speed Twin 1948 500cc. 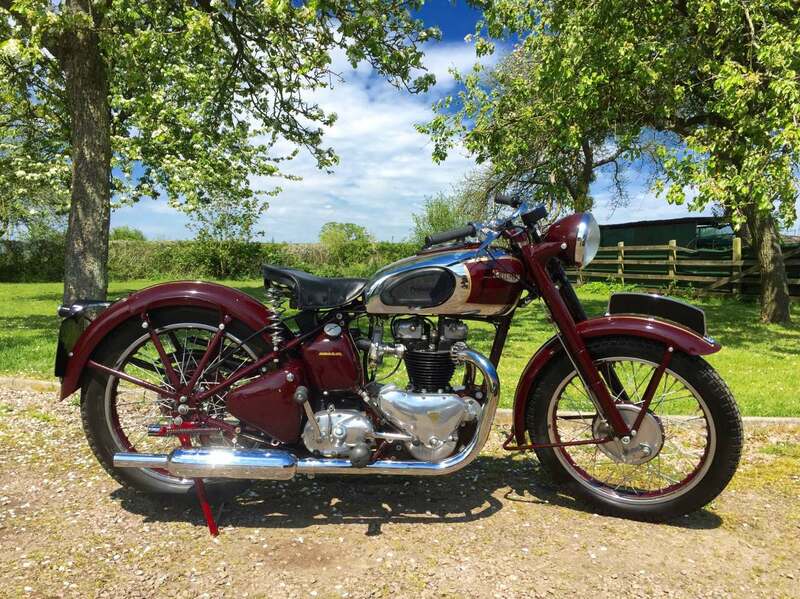 With Correct Numbers and in Exceptional Original Condition having been Restored Several Years ago back to Original Specification. 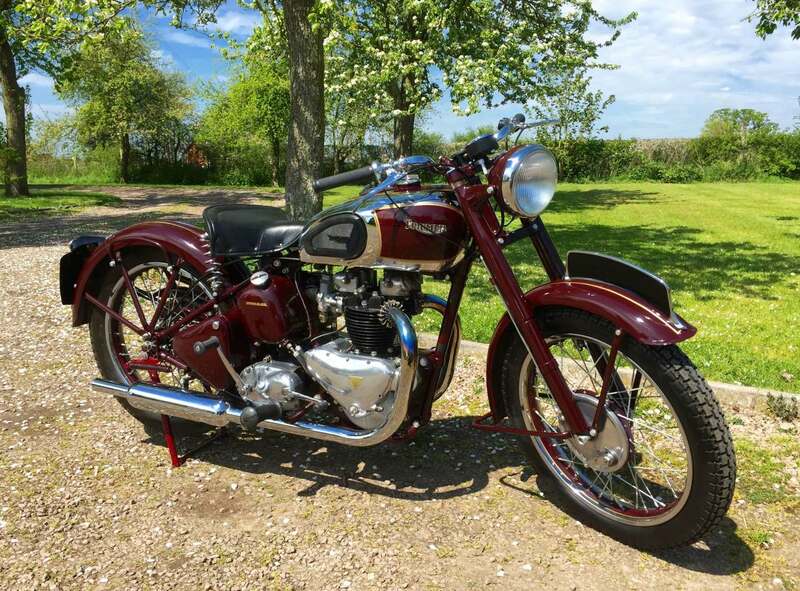 Now Looking Glorious in its Amaranth Red Livery with Chrome Tank containing the Instrument Panel and Correct Gold Pinstripes which Line the Tank Mudguards and Wheel Centres . 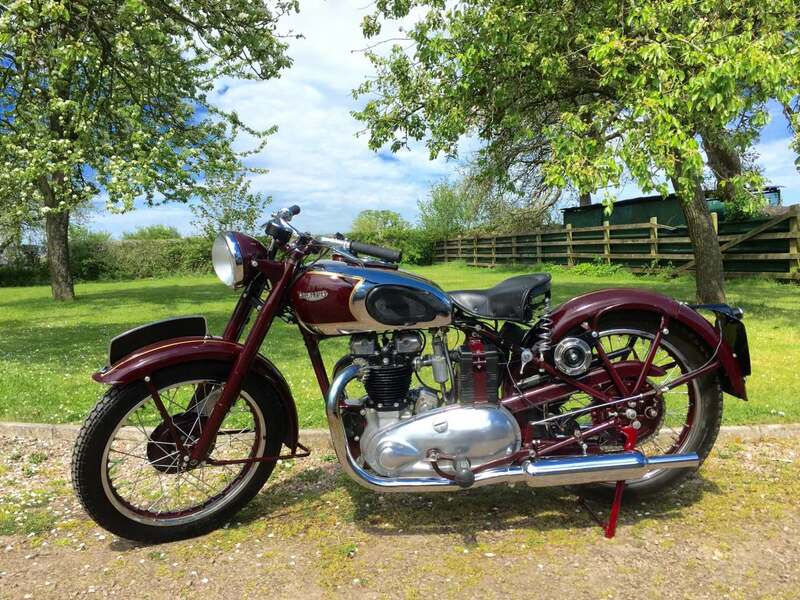 Starts easily but will need tweaking to tick over hence low price.